Posted August 22, 2018 by Randy Wind & filed under . 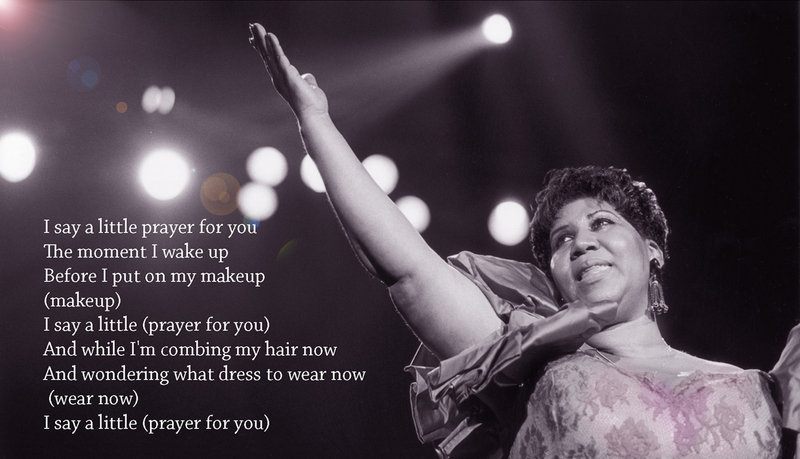 After Aretha Franklin died on August 16, the outpouring of grief turned to a celebration of her life and music. 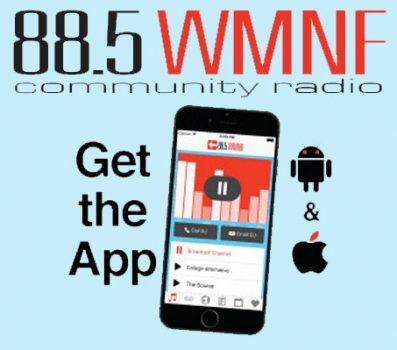 Within a week WMNF, with help from singers Katt Hefner and Velma Glover, had assembled two tribute shows to the Queen of Soul. Some of the most outstanding soul, R&B and blues singers in Florida will each perform three Aretha songs backed by an outstanding R&B band led by Vincent Sims that includes horns and backup singers. During her life Aretha Franklin received a truckload of accolades, including a stack of gold and platinum records and an armful of Grammy awards. But Aretha is a legend not just because of the hits. She is the undisputed “Queen of Soul” because of her singularly magnificent, distinctive voice, a voice that rattles the heart and enraptures the soul. It is a voice that is a cornerstone of American music and the personification of modern American soul music. CeCe Teneal – Cece has many performed many tributes “to the queen”, and is recognized for her ability to evoke the sound and spirit of Aretha. Her career skyrocketed when she was selected as the lead singer for B.B. King’s Blues Club in 2007. CeCe succeeded in transforming B.B. King’s into the most frequented live music venue in Orlando, and in 2011 she released her debut blues album, “Train from Osteen”, leading to sold out crowds and being dubbed the “Voice of Neo-Blues”. CeCe has traveled the world with her talent. We are happy to have this acclaimed Aretha interpreter at our shows. Lauren Mitchell – Lauren Mitchell is no stranger to the Tampa Bay blues scene, but lately she’s been sharing her gifts with folks all around the country. In September, Lauren and her band returned from a month-long, 6,000 mile U.S. tour that had her sharing the stage with the likes of Buddy Guy and Lurrie Bell. Her 2017 release, “Desire” has opened many doors for her and garnered her two Blues Blast Award Nominations, as well as high praise from the Blues/Soul/Roots community all over the world. Ms Mitchell has been an artist on the rise since the release of her first album, “Please Come Home” in 2013, which was followed by a 2014 win to represent the Suncoast Blues Society in Memphis at the International Blues Challenge. Sugar and Spice – The 2017 Memphis International Blues Challenge winners are known for putting their indelible and unparalleled stamp of strong soulful and gospel-drenched vocals onto every song. With a sound reminiscent of Saturday night juke joints and Sunday morning hallelujahs, these true blood sisters learned to sing at the feet of their mother, the late Loretta Glover, a Florida R&B/soul and blues legend. Sugar and Spice are undisputedly the reigning duo of soul, R&B, blues and rock-n-roll. Theo Valentin – Growing up in Norfolk, Virginia, Theo started singing solo in church at age five and learned the gospel style which still influences her today.. In 2001-2003, Theo collaborated and formed the band “Project Necessary”, who had the honor of performing for our military troops overseas, including Korea, Guam, Japan, Singapore, Turkey, and Egypt. In 2010-2013, Theo sang background and performed with the following world-renowned musicians: Jean Carne, George Benson, Howard Hewett, Glenn Jones, Danny Boy, Phil Perry, Reggie Wooten. Theo is currently on tour with the legendary Norman Connors and the Starship Orchestra. Belinda Womack – In January of 2018, Belinda was honored, along with 29 other music individuals, bands and entities, as one of the most influential musicians in the Tampa Bay community. Belinda is hailed as a singer, musician, thespian, teacher, evangelist and encourager whose heart is making life better for others. Belinda Womack is an outstanding motivational speaker and vocalist who is an aficionada of Gospel and Jazz music. Sandy Atkinson – Sandy started singing as a kid and as a teen she discovered the blues. She started playing gigs in the eighties and put out her first of seven albums in 1999, produced by the legendary Rock Bottom with whom she had a close musical relationship. She has opened for such artists as Sue Foley, Chris Duarte, Tinsley Ellis and shared the stage with Bob Margolin. She plays several times a year at the House of Blues in Orlando and at local festivals like the Ribfest in St. Petersburg, Dunedin Blues Fest and Clearwater Seafood Fest, and the International Blues Challenge in Tennessee. Sandy also gives back to the community by playing a lot of charity events, including Children’s Home Society of Florida, domestic violence shelters, Natural Resources Defense Council and others. She credits Aretha as one her great influences. Scott Elliott – Originally from NYC, Scott is a veteran vocalist, songwriter, actor and poet who has worked with some of the best in the business, including Lionel Hampton, Ryo Kawasaki, Jocelyn Brown, Taka Boom, Sharon Redd, Carrie Ann Inaba, Robin Hatchett, John Ambrosini. He fronted the 90’s NY indie funk/rock band Absolute Zero and Sarasota-based party band, PFM, and now is a featured lead vocalist for local indie band, Talk To Mark and is a solo artist in his own right. He is the host of WMNF’s Wednesday afternoon show, the All Souls edition of It’s The Music! You might notice Scott is the only male singer in our two nights of Aretha. He is All Soul! Vincent Sims (guitarist) was raised in St. Petersburg, FL and earned a 2-year certificate in professional music from the Berklee College of Music in Boston, Massachusetts. He has played with many recognized artists in the jazz and blues fields. Artists such as Al Downing & The Allstars, Lauren Mitchell, Heffner & Hefner, Lucky Peterson, James Peterson, Koko Taylor and Belinda Womack. Vincent is a former President of the Al Downing Tampa Bay Jazz Association. Vincent is the bandleader for both the Aretha Franklin Tributes in St. Petersburg (The Palladium) and in Bradenton (Manatee Performing Arts Center). Bill Buchman (piano/keys) is a dynamic and wide-ranging contemporary jazz and blues pianist who has worked with many top musical artists and has performed around the US as well as in France, Germany, Sweden, Finland, Norway and Denmark. He now lives in Sarasota and performs frequently in the Tampa Bay area. Bill has a Master’s and Bachelor’s degree from the New England Conservatory of Music. Johnnie Barker (bassist) is a Sarasota native who plays over 15 instruments with bass being primary. He also is a composer, producer and studio engineer. He first began his passion for music in his church, where he later became the band’s bass player. After graduating from Sarasota High School, Mr. Barker then moved to Boston, Massachusetts to matriculate at Berklee College of Music. Johnnie has worked and recorded with a plethora of local and international artists. He has also opened for guest artist such as Buddy Guy, Heart, Gregg Rolie, and Jonny Lang. James Vanardo (drums) was born in New Orleans, LA., where he began playing drums in the Baptist Church. James’ love of God is second to none. James has played with some of the finest names in Louisiana, and the music industry including: Dixie Cups (Chapel of Love) George Porter of the Meters (Sissy Strut) Charmaine Neville of the Neville Brothers Family Jon Cleary and the Absolute Monster Gentlemen Wild Magnolia’s and the Mardi Gras Indians Tad Benoit – Swamp Blues Band Mem Shannon and the Membership Blues Band Dickey Betts (Allman Bros.) While touring with Dickey Betts and GreatSouthern (Allman Bros.), he has shared bookings with such music greats as Santana, Peter Frampton, ZZ Topp, and BB King. With 19 tours out of the US, he has been blessed to be on stage playing and living a life doing what he loves to do. His main passion is jazz, feeling a need to pursue this he chose to leave Dickey Betts and move into a world closer to his roots. When not touring, or playing locally, he shares his love of drums with students giving lessons in the Sarasota area, Troll Music. Butch Thomas (Saxophonist) is a Platinum Grammy Recipient and 2012 Grammy Nominee, composer and jazz educator. BUTCH THOMAS is a widely known and respected, having toured with Sting, Lenny Kravitz, the late legendary jazz bassist Jaco Pastorius, Elton John, Diana Ross, James Taylor, Heffner & Hefner and many others including The Queen of Soul: Aretha Franklin. Ian Indorf has a Master of Music Degree in Trumpet Performance from Kent State University in Kent, Ohio. He has taught at Malone University, The University of Mount Union, and the College of Wooster. In addition, Ian was the recording engineer at the University for Akron recording over 1000 college music recitals. In 1998, Ian toured with the Tommy Dorsey Orchestra and has performed with national names such as Frankie Avalon, Al Martino, Mary Wilson (The Supremes), Bobby Vinton, Sonny Turner (The Platters), The Dells, and The O’Jays. Tickets $15 advance, $22 door. Tickets are available on-line, here until 2pm on Sunday and The Palladium (the Palladium adds a service fee) Plenty are available for sale ~ Hope you can join us for this momentous event!